Not every hero can headline their own Marvel movie. But Disney+ is going to push several heroes into the spotlight. During the Disney Investor Day 2019 presentation, the company officially announced several of the previously rumored Marvel TV series. 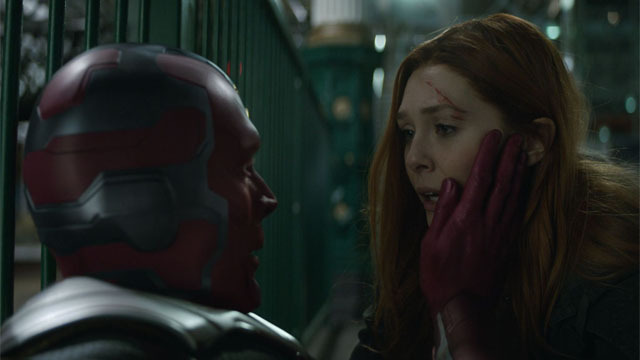 Elizabeth Olsen and Paul Bettany will reprise their roles for the Vision and Scarlet Witch series. However, that show is apparently going to be called WandaVision. Additionally, Anthony Mackie and Sebastian Stan were confirmed to return for the Falcon and Winter Soldier series. Marvel Studios’ Kevin Feige also announced the What If? animated series. It’s based on the classic Marvel comic book that explored alternate realities and different takes. Peggy Carter will be the focus in the first story, after she takes the Super Soldier Serum instead of Steve Rogers. However, Steve will still be a part of the action as a proto Iron Man, courtesy of Howard Stark. Like the original comic, the animated series will be an anthology. As previously announced, Tom Hiddleston will also star in the Loki live-action series. However, Feige didn’t give an official confirmation about the Hawkeye series. Each of the Marvel Studios produced live-action series will run between six and eight episodes. Disney+ hasn’t yet announced a release date for any of the series. As for Disney+ itself, it will launch on November 12. Which Marvel show are you most looking forward to watching? Do these series make Disney+ worth a subscription? Let us know in the comment section below!